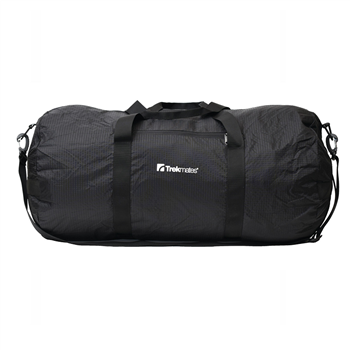 The Trekmates Packable Duffle Bag is avaliable in three sizes. 30 L,60L and 90L capacity. The lightweight bag packs into a small pack for storage.There are durable wrap around carry-handles and a removable adjustable shoulder strap. Perfect for sport kit or shopping trips.